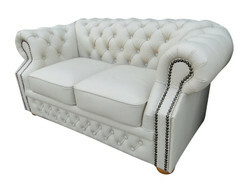 Casa Padrino, your baroque wholesaler from the beautiful city of Essen (Germany), offers a phenomenal and heavenly eye-catcher with its unique and imposing Chesterfield sofa collection. Whether you are setting up these noble english and very modern pieces of furniture in your business premises or at home, you will always be able to enjoy a magnificent appearance with these unique pieces of furniture and inspire your guests. 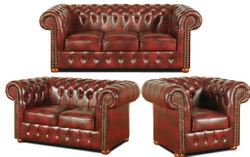 Our Chesterfield sofas are very well combinable with other pieces of furniture, so they fit every style of furniture. 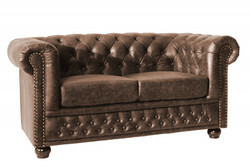 All Chesterfield sofas are made from very high quality materials. That's why we guarantee that you will enjoy the Chesterfield sofas for a long time. 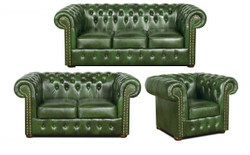 All Chesterfield sofas are gorgeous, pompous and very stylish at the same time. The origin of this furniture period probably goes back to the fourth Earl of Chesterfield, Philipp Stanhope. He commissioned a local furniture manufacturer to design noble and exquisite seating for Gentleman. 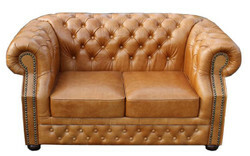 The result was the still popular Chesterfield couch with noble button stitching on the backrests. The result can be seen even more than centuries later, because the elegant shapes and solid diamond pattern are characteristic of this sofa and model for many other Chesterfield pieces of furniture. 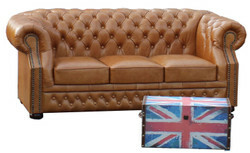 Meanwhile, Chesterfield sofas are no longer just at home in british gentlemen's clubs or at the court, but decorate more and more domestic living room. 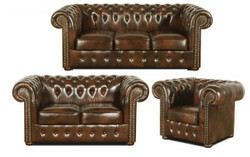 No wonder, because Chesterfield sofas have a diverse side, so everyone will find a matching Chesterfield style sofa. Casa Padrino offers you the noble classic in various variations such as as office chair, armchair, sofa, three-seater, chaise longue and living area.